Even if you’ve never heard her name, you’ve heard Marni Nixon’s beloved voice in some of Hollywood’s biggest movie musicals. Nixon sang for Audrey Hepburn in My Fair Lady, Natalie Wood in West Side Story and as her first big break, the voice of Deborah Kerr in The King and I — three of Hollywood’s biggest movie musicals. She passed away in Manhattan on Sunday, July 24 at age 86 from complications relating to breast cancer. Before overdubbing songs for Hollywood stars, Nixon began her remarkable career with the Los Angeles Philharmonic when she was only 17 years old. She would go on to work with some of the most influential American composers and conductors of the time, including Leonard Bernstein, Aaron Copland, Stephen Sondheim, Rogers and Hammerstein, and many others. 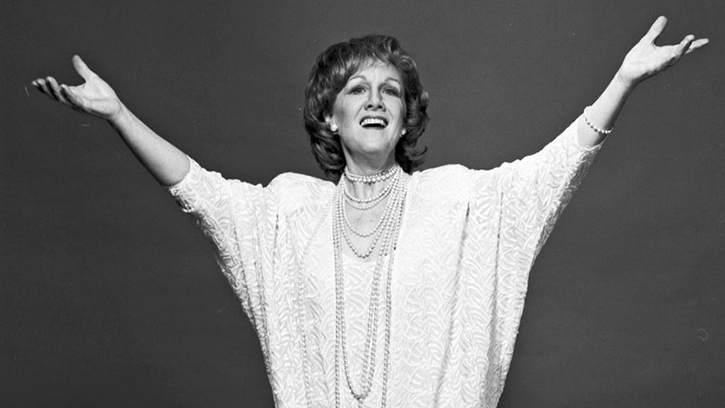 In addition to her career in Hollywood, Nixon performed with orchestras and opera houses around the country, including the Seattle Symphony in the 1970s. Under Music Director Milton Katims, Nixon sang in Rossini’s Stabat Mater and Arthur Honegger’s oratorio, Jeanne d'Arc au bûcher (“Joan of Arc at the Stake”). An accomplished contemporary vocalist, she recorded works by Schoenberg, Stravinsky, Webern, Ives and Gershwin to critical acclaim. She also left behind a legacy of fans inspired by her performances during Seattle Symphony Family Concerts and a children’s television show on Seattle’s KOMO TV called Boomerang. You can listen to Dave Beck’s interview with Nixon in 2006 at KUOW or read about her career from NPR news.